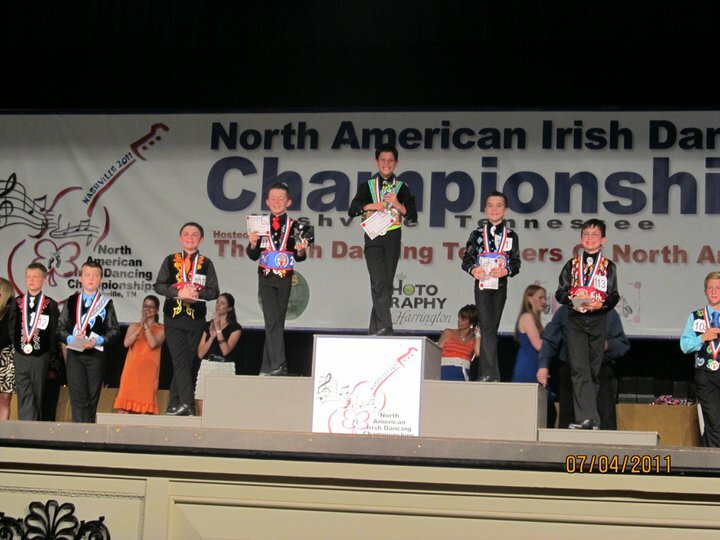 Every month, an Open Champion Irish dancer will be featured here on the Moms to Reel Boys blog! This month, I interviewed Billy Petrocelli of Massachusetts, USA. 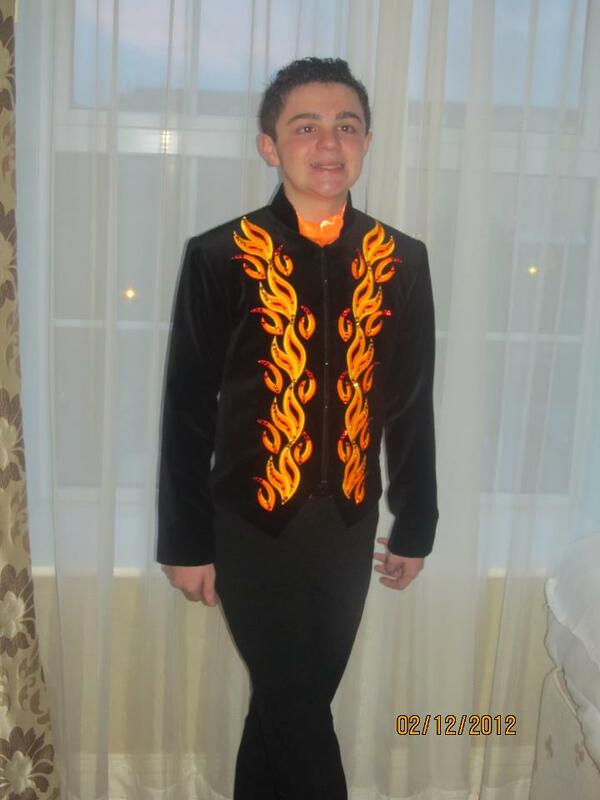 He placed fourth at the 2011 North American National Irish Dancing Championships. Also, he has won the New England Regional Irish Dancing Championships three times. 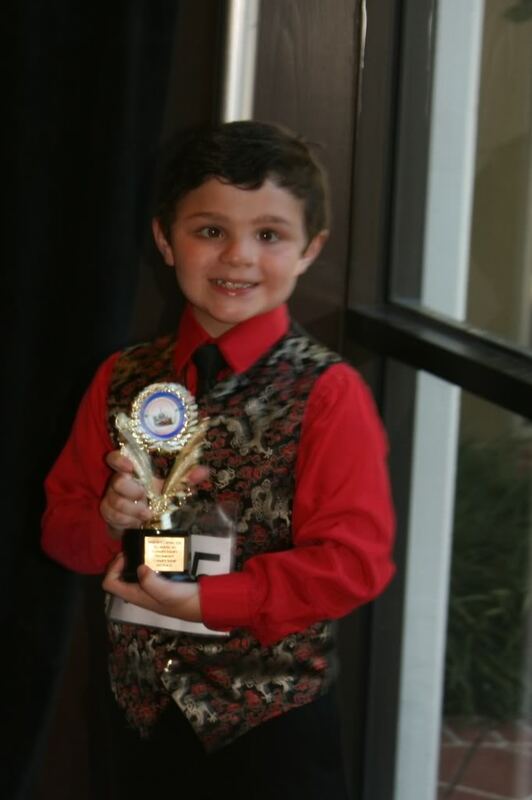 Recently, Billy competed at the All-Ireland Irish Dancing Championships in Dublin, Ireland. In addition to the twenty questions I asked him about Irish dancing, I had some additional questions about Billy's experience competing at the All-Irelands. Feis America: Billy, have you ever been to the All-Ireland Irish Dancing Championships before? Petrocelli: Yes, when I was 9. Feis America: How many boys were in your solo competition at All Irelands? Petrocelli: Only 21 which was really small, because at Worlds there was 45, so I was expecting more. I was hoping for a bigger group. Feis America: Had you been to Ireland before, and if so, when were the trips and what were they for? Petrocelli: I had been to Killarney for All-Irelands, and was at the Worlds in Dublin last year. Feis America: Are you going to the World Irish Dancing Championships in Belfast this year? Petrocelli: Yes, I am going to Worlds in April. Feis America: Do you think that going to All-Irelands helped you prepare better for Worlds? Petrocelli: Definitely! I think going to the All-Irelands helped me prepare for Worlds because it helped me know what I need to improve and gave me practice dancing on the big stage. Feis America: After All Irelands, what area of your dancing are you going to focus on going into practicing for Worlds? Petrocelli: Control of my upper body. Feis America: Who traveled with you to Dublin? Feis America: Did you get to do any sightseeing while you were there? Petrocelli: No, we just stayed at the venue and watched my friends dance. Feis America: When you've gone before, what did you see or what was your favorite excursion? Petrocelli: When I was in Dublin last year, my favorite excursion was to Trinity College where I want to go to college. Feis America: And now, onto the regular twenty questions: How old are you? Feis America: What Irish dance school do you dance for? Petrocelli: Bremer School of Irish Dance in Salem, Massachusetts. Feis America: When did you start dancing? Petrocelli: I started dancing when I was five. Feis America: In a few words can you tell us why you started Irish dance? Petrocelli: I saw Riverdance at my great-grandmother's house and I wanted to try dancing like that. Feis America: Any Irish dance siblings? Petrocelli: No, my 15-year old brother plays football and lacrosse. Feis America: What is your current Irish dancing goal? Petrocelli: My current goal is to recall at Worlds. Someday I would also like to win Nationals. Feis America: Any goals for the future that include Irish dance when you're an adult (teaching, performing with a professional group, doing your own thing)? Petrocelli: In the future I would like to dance in a show like Lord of the Dance and become a TCRG. Feis America: What is your favorite feis to compete at other than Majors? Petrocelli: My favorite feis is the Harvest Time Feis because I like the Halloween-themed trophies and my dance friends are always there. Feis America: What is your current set dance or favorite set? Petrocelli: My current set is Drunken Guauger but my favorite set is Blackthorne Stick. Feis America: What brand of hardshoes do you wear? Feis America: What is your greatest accomplishment in Irish dance? Petrocelli: My greatest accomplishment in Irish dance is placing fourth at Nationals or winning the New England Oireachtas three times. Feis America: What is your best Irish dance memory? 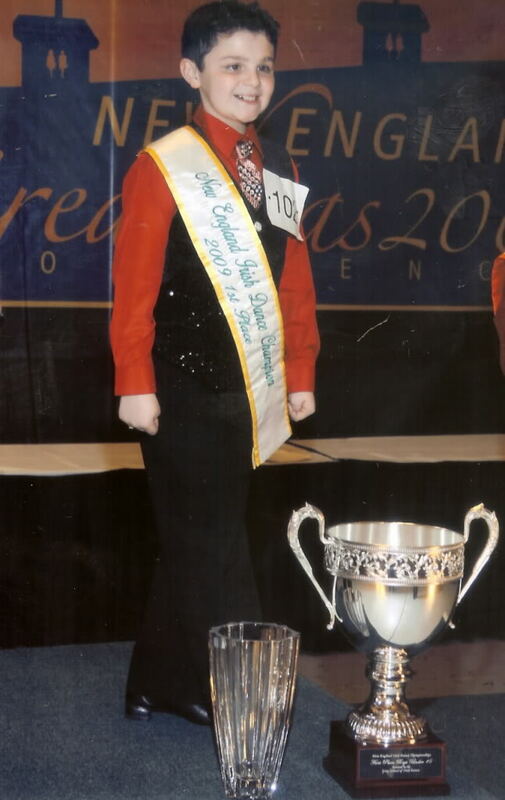 Petrocelli: My best Irish dance memory is winning the New England Oireachtas for the first time when I was under 8. Feis America: Any injuries that have made you stop or slow down in Irish dance? Petrocelli: I have Osgood Schlatters which slows me down sometimes, and when I dance five days a week training for a Major, sometimes my hip hurts. Feis America: Who made your current waistcoat/vest? Petrocelli: Elevation made my current jacket. Feis America: Other than Irish dance music what is your current favorite song or artist to listen to? Petrocelli: My favorite artist is LMFAO. Feis America: Do you do sports or any other forms of dance? Petrocelli: I play football and lacrosse and track. Feis America: Do you play any musical instruments? Petrocelli: I play the keyboard and I used to play the fiddle and tin whistle. Petrocelli: My Siberian Husky Nikita. Feis America: What is the best advice you can give to boy Irish dancers who are wanting to become champion level dancers? Petrocelli: I would tell any young boy who wants to be a champion Irish dancer that it's a lot of hard work, and that you will have disappointments along the way, but it's worth it in the end when you do well at a Major. You have to really love what you do though to spend so much time training, and don't let anyone discourage you. Feis America: Last question... "When I grow up, I want to be..."? Feis America: Thank-you so much, Billy for answering my questions! I wish you great success with reaching all of your goals! If you know a boy or young man who is interested in being profiled for a Moms To Reel Boys feature, please email me! Remember to visit Moms to Reel Boys on FaceBook for daily updates on results, friendships made through Irish dancing around the world, male Irish dancing costumes and accessories for sale, and terrific photos submitted by parents. Editor's Note: References to products or events are not endorsements by Darlene White, Feis America LLC or IrishCentral.com and are conveyed as a matter of information from interviewees to our readers.